Try Continuous Ink System with your Epson Photo 1290 and make 30 times more quality prints for the same money! Pay only 0.04 USD for A-4 full color print! CIS for Epson photo 1290 is one of CIS products provided by our company. Being the leader of consumable supplies market we guarantee you high quality of Epson Photo 1290 CISS. So, if you need effective and qualitative printing, we are ready to offer you a variety of CISS types, such as CIS for Epson Photo 1270 and other CIS modifications. - Certificate for free installation of the CISS Ink System Epson Photo 1290. Each our client is also provided with guarantee period of 12 months and full technical support during the guarantee period and after its expiration. 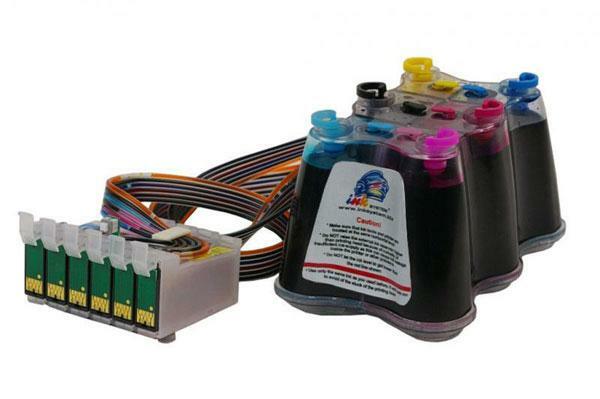 - Highly effective, for they provide continuous delivery of ink and thus reduce the cost for printing process. Our CISS can save your money! - Easy in operation. The tank for CISS can be installed in any location: at home or at the office вЂ“ anywhere you need. And you will be pleasantly surprised when see how rarer these tanks are to be refilled. - Reliable and absolutely safe for printers. Each CISS is made in Korea and has its quality certificate. You also shouldnвЂ™t worry about the devicesвЂ™ compatibility, for it reaches 100%. Get essential economy with every new print using our modern CISS (CIS for Epson Photo 870 or other one)! Printing with our CISS is a clear profit for you. DonвЂ™t hesitate and contact us right now for making an order and getting complete help and assistance for any of CISS available!